Free point of sale software? Isn’t that like Sasquatch or the Loch Ness Monster? Like things only children and crazy people believe? Guess what? It’s NOT a myth. Free POS exists, although, to be fair, you still have to buy the hardware on which to run the software, whether that hardware is a full register/scanner/printer combo or just a home computer or tablet. Below I’ve gathered a list of the elusive unicorns of the software world. In this collection, you’ll find a few open-source options, two truly free versions (which is an anomaly not just in the POS world, but in the software world at large), and several freemium products. Of the list below, most of the solutions are locally installed, except where specified, and none are in any particular order. Keyhut’s Cash Register software is the brainchild of the inimitable Dale Harris, who is the internet’s greatest grouch. His site is worth looking at even if you never need POS simply for a good laugh. He is unapologetically himself and he is hilarious. Cash Register is a completely free POS system because, as Dale puts it, coding is his hobby and he might as well do something with it. He designed this system for small businesses. It works with any cash register/printer/computer combo you might have, and he’s considering expanding the coding to include tablets. For extremely small businesses, the software can be run off your home computer provided you don’t mind receipts being printed on regular sheets of paper. This system, despite being free, can actually hold its own among paid POS systems aimed at small business. It can run multiple types of reports – including breaking the sales down by employee. It has some basic employee management, CRM, and inventory tracking features. It supports multiple registers. As well, Dale offers better customer service than some paid versions I could name. He responds very promptly to his email, runs an open forum, and is available via chat and phone from 8-10pm every weeknight to work any and all problems out. There are no official reviews out there of this system, but of the links Dale has posted to his website and two reviews I managed to dig up out of forums, users like Dale’s brusque, but easy-to-use approach, while finding both his website and interface hideous. Personally, I find his website charming and from the screenshots, I find his interface to be identical to ones used in many grocery stores – so, not that bad. Which is all Dale was going for, he’d likely remind you. uniCenta is currently the biggest name in open-source POS software. It boasts a system that could rival any paid small business POS. It has inventory management, reporting, CRM, and even employee management features (many paid products don’t even come with all of those.) uniCenta is also formatted for any type of hardware – even mobile. Users’ reactions to the software are overwhelmingly positive – a lot of users tout the ease-of-use that this solution has achieved, especially considered it’s open source. One review does mention that the reporting feature is clunky. ProffittCenter EPOS is another completely free POS system written during one man’s free time, albeit a much less cynical man. Like KeyHut, this system is definitely intended for small retailers, especially because it’s a more pared down version of POS than some of the other options on this list. ProffittCenter is mainly a cash register – it takes money, runs discounts etc. It does run reports and have some inventory management capabilities that relate directly to automatic ordering of products. As well, it has an extremely easy-to-use user interface. Dave Proffitt, the man behind this operation, does provide customer support whenever you need it. And, like Dale Harris, Dave told me he provides a really high level of service – he’s available via email, phone, chat and is willing to rework code. ProffittCenter also boasts an active user forum for support. Overall, perhaps because of the lack of features, ProffittCenter is actually a great solution for merchants who are new to POS software. It’s got a great user interface, and it has the basic functionality to allow a new user to learn how to operate and set up POS software. This is a freemium option from an Indian POS company. While the paid version can be utilized in all retailer sizes up to an enterprise retailer, this freemium version is unquestionably meant for a very small retailer – it allows for only one register, with fewer than 100 transactions/month. This option probably best serves a small retailer who is just getting up and running, with plans to move to TruePOS’s first paid level ($30/mo) as soon as the business gets going. None-the-less, this could be you, so I’ve included this as an option. TruePOS is a fully-loaded system and can be accessed from a variety of devices – register, PC, mobile. This is one of two systems on the list that are web-based, however, it does continue ringing sales when it’s offline. It really does all things, though – inventory, CRM, reporting, and more. Vend, the other web-based system, is actually one of the biggest names in POS, so it’s nice to see them offering a freemium version. Their free option is for one register and user with 10 or fewer active products and up to 1,000 customers, with community support. Again, this is an option for an extremely small retailer, and one who is planning on upgrading as they grow. Nonetheless, if you run a stand at a farmer’s market, or perhaps a mall kiosk, this could be a really good permanent option for you. Like TruePOS, Vend is cloud-based, but continues running with limitations when offline. It’s a feature-rich, easy-to-use system (can you say buzzwords?). They’ve got all the standard bells and whistles with regards to inventory management, CRM etc., and unique features include a dollar for dollar loyalty program that users can customize for their store. JPOS is another open-source system, in a more recognizable form. JPOS, like many other open-source solutions, offers a paid consultation/customer service option, as well as a paid version of the code that the people behind JPOS maintain 100% for you. What makes this bonus? Well, JPOS isn’t so much a POS solution as it is a basis for you to write your own POS solution onto. So yes, you will need someone, or a team, who is excellent at writing code. But if you have those kind of resources, JPOS is a great option – they boast a rather impressive client list that includes Safeway and MasterCard. So that’s six of the top free and open source POS software solutions. Have you come across any more of these elusive systems? How did you like them? Let me know in the comments! Update: Another fantastic free option has been brought to my attention. Zero POS is a cloud-based mobile POS system that comes with features like inventory management, and the ability to take mobile payments and gift cards among others. 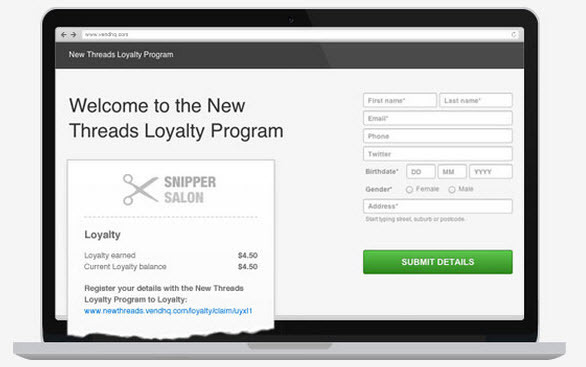 There are premium features you can upgrade to – like advanced analytics and a eCommerce store. This product is definitely worth looking at! 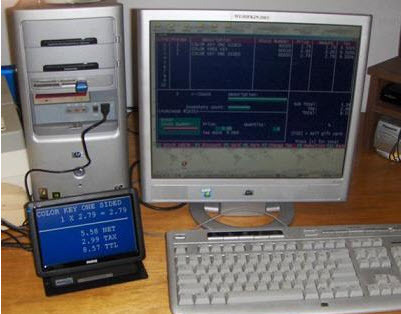 Ed Perfect on February 5, 2015 at 1:08 pm : I have personally tried several of the EPOS software reviewed here (and several other (so-called) free examples) not to mention many professional and bespoke systems from many years working in the retail and hospitality industries, a friend of mine uses Keyhut in his shop and it has a pretty devout following, however for me ProffittCentre stands head and shoulders above the rest. A comprehensive selection of customisable reports are available, more than I’ve ever needed. I have three tills networked easily together, one of them on a tablet, the other two on some pretty ancient old windows machines. The database is MySQL, a reliable and trusted open-source solution. I have credit accounts set up for my B2B customers. Although the software has a pretty advanced automated ordering system, I am unable to take advantage of as I buy the same product from many different suppliers and I order in quantity when the price is good as opposed to predicted sales figures, booking in however is a delight (well, in comparison to my previous experiences). The software is straightforward to use, allows new items to be added from the sales screen, a life saver when switching to a new system. And Dave has always been more than happy to help, although I usually find a solution on the fairly active forum. It has a shedload of other options many of which I have never needed but it’s always good to know they are there! Mike Wells on March 27, 2015 at 8:15 am: We have been using ProffittCentre since opening the shop 3 years ago. Its part of the business that ‘just works’ . On the rare occasion that I have had to ask Dave for assistance or guidance (usually from my own ignorance) he has responded really quickly plus updates and makes available updates to solve any tiny bugs. Although I don’t have experience of any other epos software, I hope never to need any other as this suits just perfectly. Rosie Mallin on April 21, 2015 at 8:09 am: We have used ProffittCenter for almost three years now in our shop and we are happy with it. It has loads of reports and options, and Dave helped really quickly when we had an issue with the login password, and when we were looking for a receipt printer solution. I have used other POS in previous jobs in big companies that were obviously not free, but this is just as good. Does the job for us, thumbs up. Leo Gaggl on May 23, 2015 at 3:03 am: I can’t believe you can write an article on OpenSource POS Systems and omit ODOO ( https://www.odoo.com/ ). From my own research this is by far the most capable solution out of the ones mentions (with the exception of uniCenta maybe). Disclaimer: I am in no way associated with any of these systems, I have just reviewed a number of them recently for a client. Cara on June 26, 2015 at 2:10 pm: Floreant POS has been around forever and is used by some big name restaurant chains. K. Njikam Abdel Ramadan on November 20, 2015 at 5:40 am: I’m so pleased and thankful with the top list of the POS information. It has captured my attention and I took some time to read about them. Many businesse owners will be glad choosing from among this list likewise someone like me who knows of one which is new and powerful and will like to share it with you. This one has many features which can fit nearly most businesses. Please try it out and see it yourself. Here is it Wandaapos or http://www.wandaapos.com. 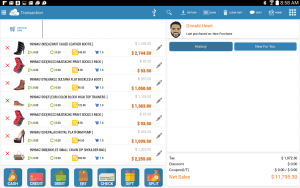 Barry Schieck on December 26, 2015 at 6:17 pm: RetailMagic is not only POS, but also includes all accounting functions (Payables, Receivables, Bank Reconciliation and General Ledger). It is free when using 10 or less products, has been in use for over 25 years and was designed specifically for small retailers.